Yes, that's seriously dramatic! Breaks a girl's heart. I don't remember if any episode made me cry. What broke me was seeing Dean break at the end of 12x03 when Mary says she has to leave. No one can kill Dean like Mary can. Another one in the same theme was when Dean asks the grave of his father in the fake world, "Why do I have to be the hero?" 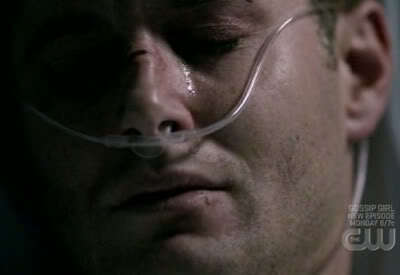 No happy ending for Dean. It's tragic and compelling. Possibly why we all love Dean so much. He hurts so good and he just keeps on going on.